What we're excited about this year! 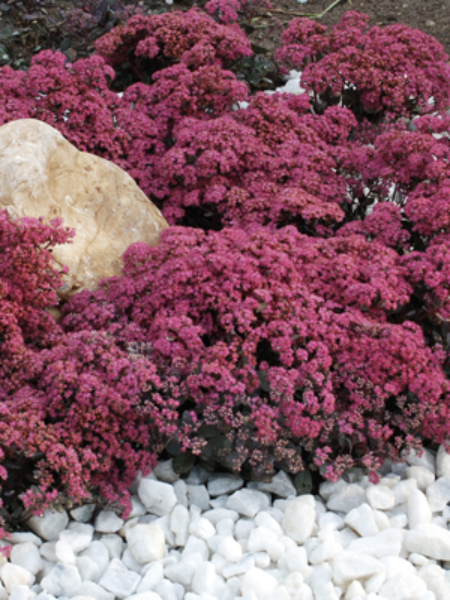 We all know Sedum as a tough “live forever” perennial… but this is not your grandmother’s sedum! SunSparkler is an exciting new series of low-growing sedum with a compact habit, brighter, non-fading foliage and intense flower color. Awesome new Shasta Daisy! 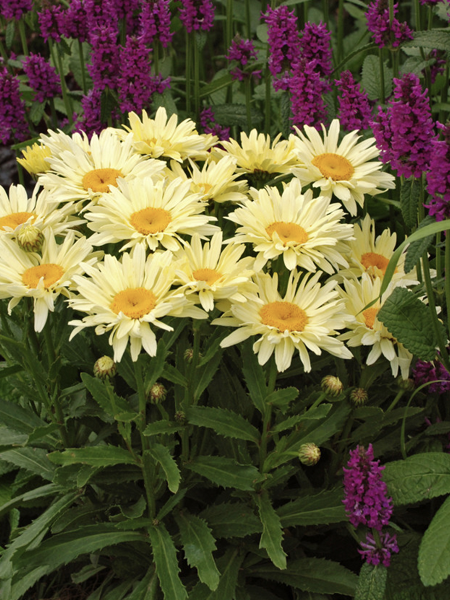 Add a patch of cheer to your garden with these large, creamy yellow blooms on a neat, compact plant. This Proven Winner introduction offers maximum disease resistance and a long bloom time. 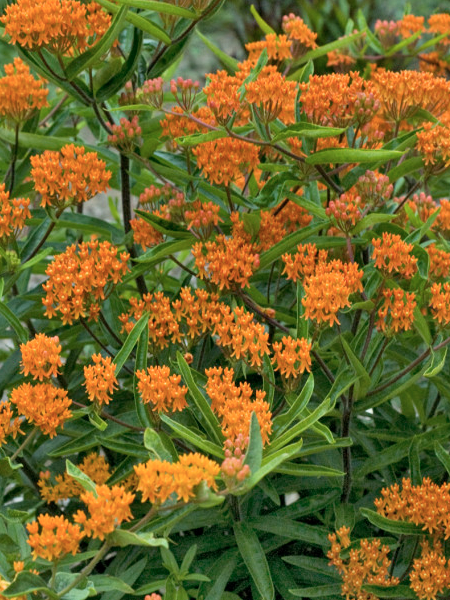 A perfectly sized perennial for garden beds that stays under 2′ high and wide. 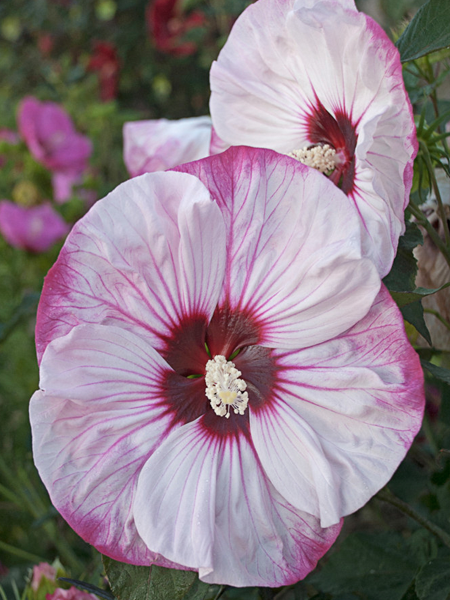 Perennial Hibiscus has it all – strength and beauty! Cherry Cheesecake has enormous flowers that almost look painted with variations of pink and white centered around a red eye. The plant can reach 4-5 feet in height making it a showstopper for the back of the garden. Hardy Hibiscus love the heat and are late to break dormancy in the spring, but will reward you with blooms throughout the hot summer. Heucheras rock! What 10 years ago used to only be ‘Palace Purple’, a brownish purple, reliable but boring specimen, has evolved into dozens of varieties as colorful as a rainbow. We have learned that not all Heuchera are created equal when it comes to toughing out our Midwest weather, and we now exclusively grow only Americana and Villosa varieties which are the most vigorous and reliable for us here. Try ‘Obsidian’, a coral bell for sun or shade in a beautiful blackberry-purple color.